Our chalets are self-contained units, fully furnished, all bedding/towels provided, separate bedrooms, bathroom, living area, TV and full kitchen. 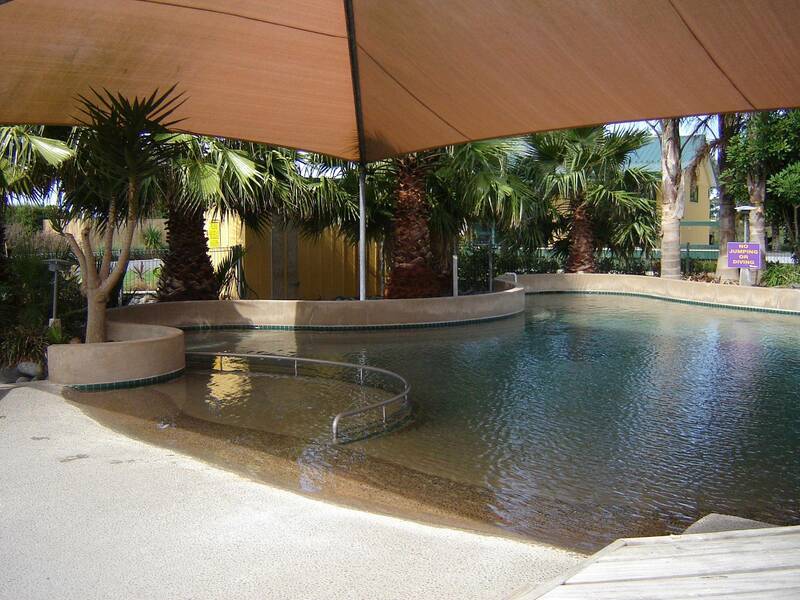 New studios and apartments - mineral spa bath units and honeymoon suite available. Our tourist lodge provides own room, 1 double and 3 single beds. Linen required, shared communal facilities - toilets, showers, guest kitchen and lounge. 72 powered sites and 20 tent sites are available. 6 apartments completed Dec 2006. Beautifully landscaped surroundings, including use of communal facilities, kitchen, laundry, lounge, TV room, BBQs, children's playground, near-new hot mineral pool on site and recreational facilities which include tennis and petanque courts. 1hr southeast of Auckland, 20 minutes to Thames. Miranda is known internationally for its migratory shore birds. Dump station available for motorhomes..